The ANZAC Memorial Hall was erected to commemorate those from the district who died in service or was killed in action during World War One. It has now been converted to a retail outlet however the original foundation plaques still remain on the building. The foundation stone for the ANZAC Memorial Hall was laid on the 23 April 1922 by Lord Forster, The Governor General , who also dedicated the hall in 1924. 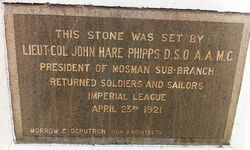 Another stone laid on the same date by Lieutenant -Colonel John Hare-Phipps, president of the Mosman Branch of the Returned Soldiers and Sailors Imperial League, declared that the honorary architects were Morrow and De Putron. 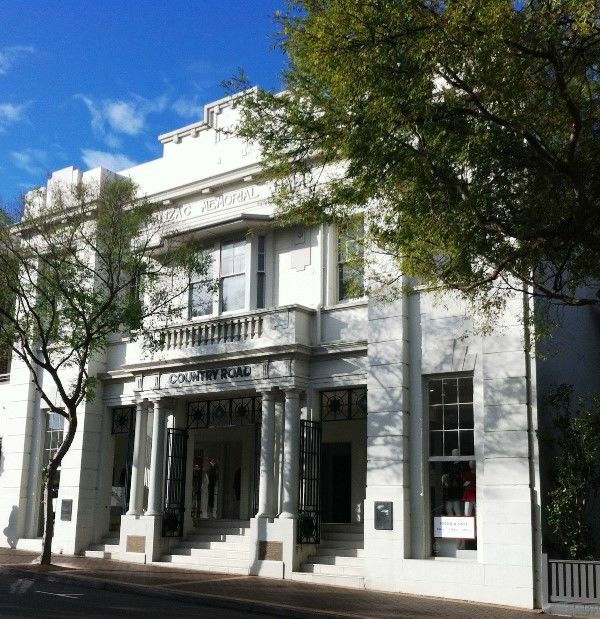 The building was financed by public subscription and a loan from the Commonwealth Bank. The Anzac Memorial Hall in Military-road, Mosman, which was officially opened by the Governor-General (Lord Forster) recently, cost about £10,000 to build. 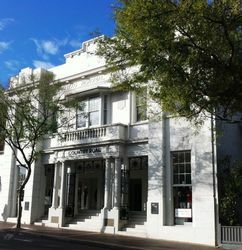 It is a two-story building with an imposing front. Entrance from Military-road to the memorial porch is by a flight of steps. This porch, with its polished terazzo floor and walls of marble, has an imposing appearance. On the marble are engraved the names and regimental data of every known soldier from Mosman who lost his life in the war. On either side of the porch are to be found roomy cloak and dressing rooms. The main hall is also reached from the porch. This hall is 83ft long and 38ft wide. The floor, which has been specially constructed for dancing purposes is of sanded jarrah. On each side of the hall are lounges 9ft wide for the use of dancers. In the main portion of the hall the latest pattern theatre chairs nicely upholstered have been installed for concert purposes. Under the main hall is a roomy supper-room or second hall, which is of the same dimensions as the main hail. A well-appointed kitchen, with every convenience for catering, has also been provided. The first floor, which is for the use of returned soldiers, contains a billiard-room with three tables, a reading-room, and committee-room. Messrs. Morrow, De Putron, and Gordon were the architects, and Mr. R. S. Messent was the builder. Sydney Morning Herald (NSW), 21 May 1924.